€830 per person. Upgrade to a Private Camp for an extra €130 per person. Tipping is entirely discretionary and is a very welcome and accepted way for guides, drivers, cooks etc to support their incomes. Fair amounts are – 100-150dh per day for the driver, 50-100dh per day per guide on trek (factor in an additional % of this tip for the camel-handler on trek), 50dh per night per person at Berber desert camp. In cafes, it’s usual to leave a few coins for your waiter. In restaurants, 10% of the bill is about right. Spend two indulgent nights under the stars to appreciate the camp’s location and attention to detail, and one night on the Draa Valley in a kasbah guest house (we offer a choice of guest house, click on our Map icons above to see the locations of each). 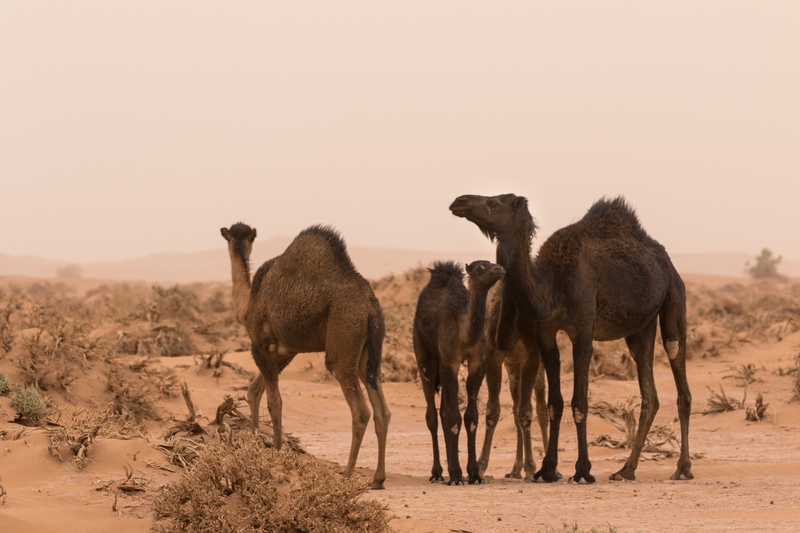 With two nights at camp, allow yourself a full day in the desert to enjoy a longer camel-trek or hike with picnic lunch. The Deluxe desert camp Morocco also offers dune-boarding, games, hammocks, sheltered outdoor relaxation spaces and evening aperitifs on the dunes at sunset. For a truly private escape, enquire about upgrading the tour to stay at the Private Nomadic Camp. 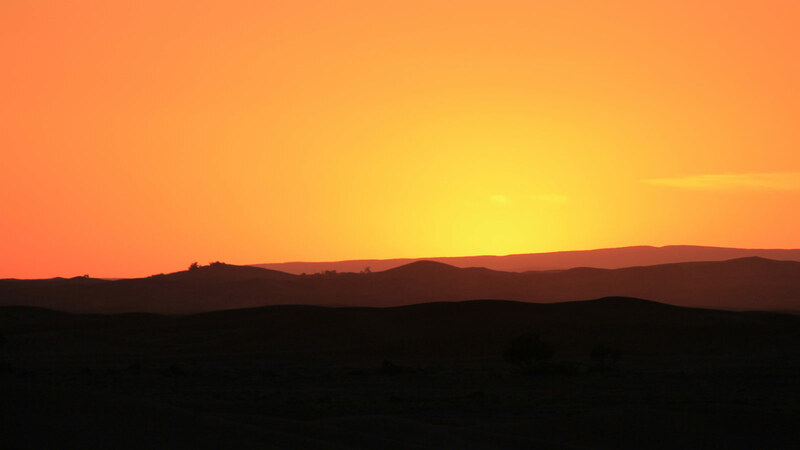 Today, drive from Marrakech by 4×4 vehicle with driver-guide to your luxury desert camp, at the great dunes of Erg Chigaga, in the Moroccan Sahara. Traverse the High Atlas Mountains via the highest main road pass in Morocco (at 2260m), offering some exhilarating driving via lush valleys and traditional Berber villages. 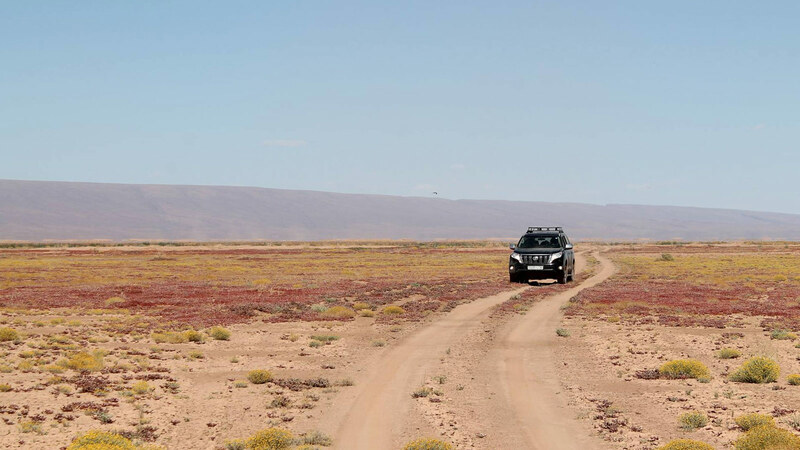 Thereafter, drive through the outer reaches of the Anti-Atlas range, before reaching the town of Taznakht. 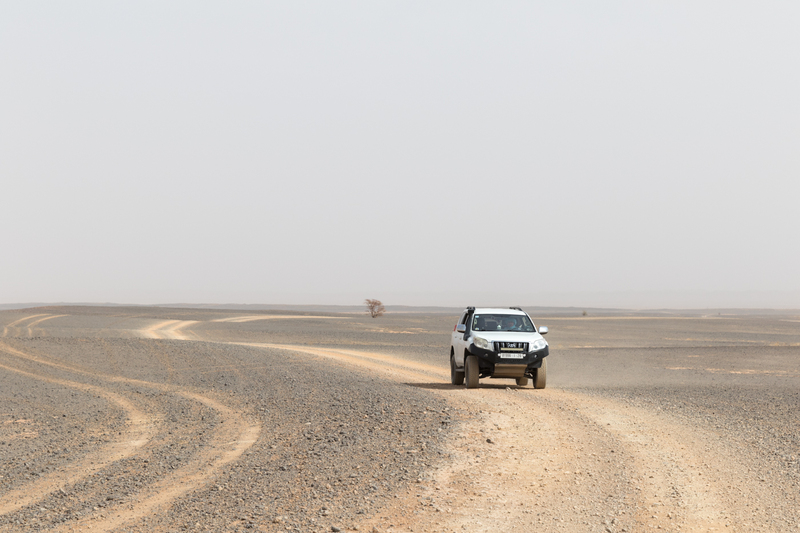 The route then passes Foum Zguid, where you leave the tarmac road behind to drive off-road for 3hrs, via arguably some of the finest remote scenery in Morocco (including the vast dried salt flats, at Lake Iriqui, and imposing mountain ridges). Arrive at the Deluxe Desert Camp with chance to freshen up in your en-suite tent, before taking a chilled aperitif on the rolling dunes. Watch the sunset from a vantage point. 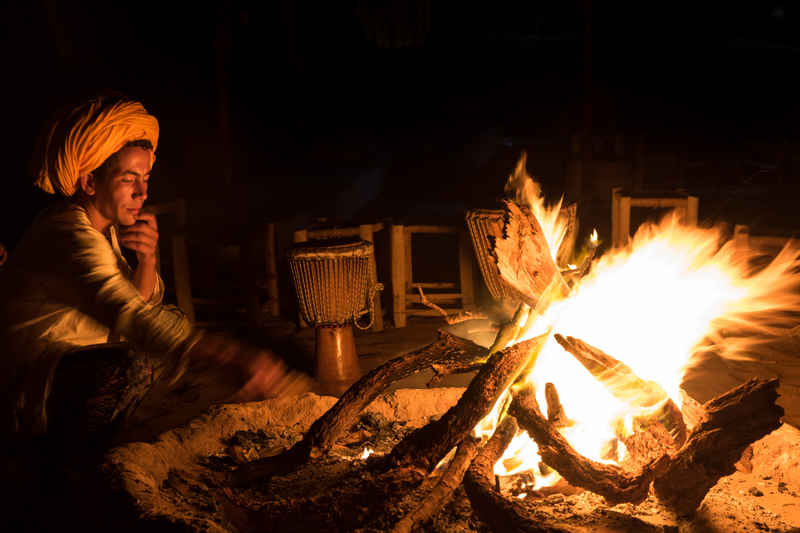 Enjoy traditional music next to the campfire after dinner. Overnight at the luxury camp for these next two nights. Day at leisure in the Sahara Desert. Camel-trek out from camp after breakfast and then walk to explore the tallest dunes, or just relax at camp. Lunch is included today. Possibly take a short ride out in the 4×4 before returning to camp in time for sunset aperitifs. Dinner and fire-side music. Overnight at camp once more. Another opportunity to walk amidst the dunes after breakfast. Then drive Erg Chigaga dunes to Agdz. 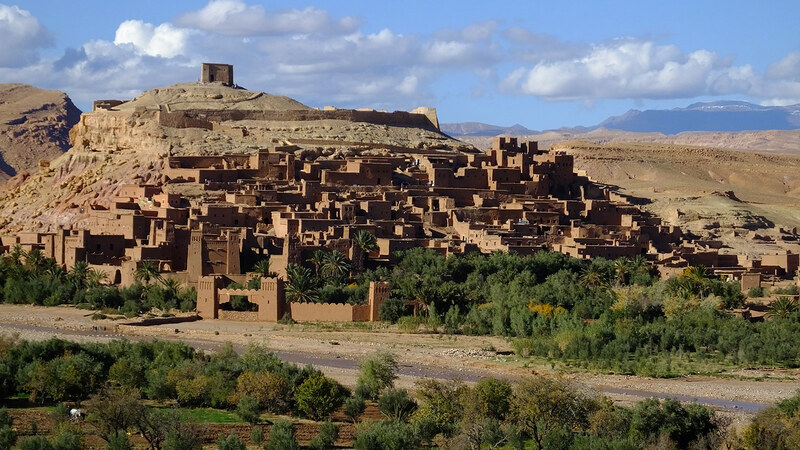 Drive off-road for 2hrs, to join the tarmac road at M’hamid El Ghezlane, then follow the course of the Draa Valley northwards via Tamegroute and Zagora (the Draa is Morocco’s longest river, flanked by vast palm oases & crumbling kasbahs). Overnight in a kasbah guest-house at the palm grove of Agdz. 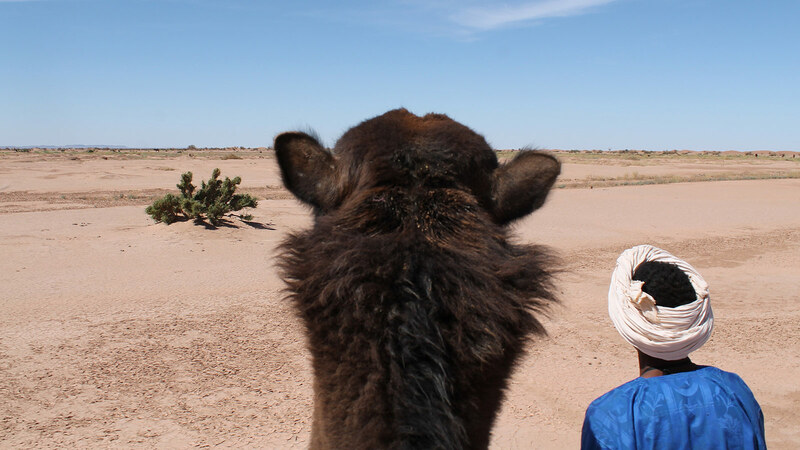 activities at the desert camp, including camel-ride, guided walking, outdoor games, hammocks.